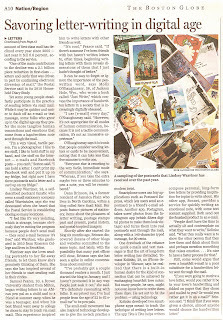 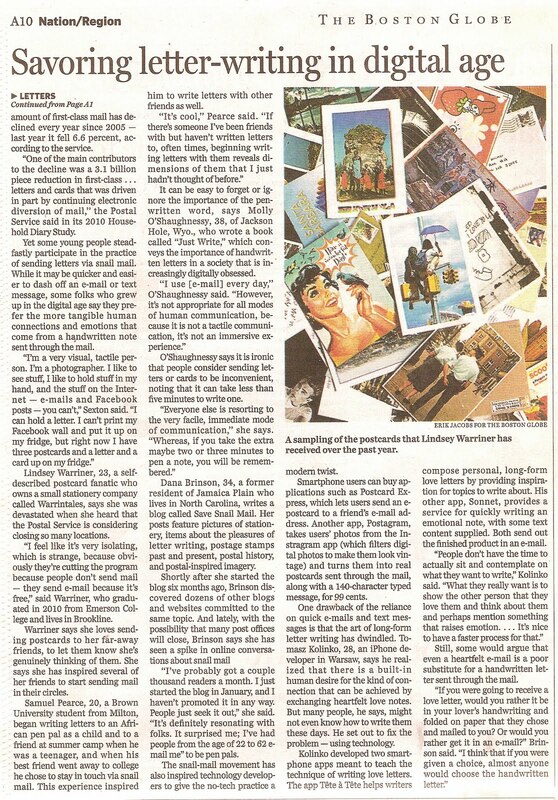 I am excited to announce that snail mail (and Warren Tales) made the front page of The Boston Globe, today! 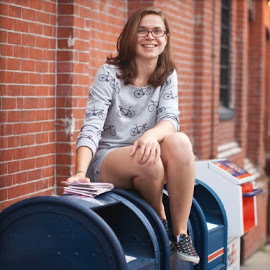 Several mail enthusiasts, including myself, were interviewed about our love and use of the postal system, and our feelings concerning 3,600 possible USPS location closures. 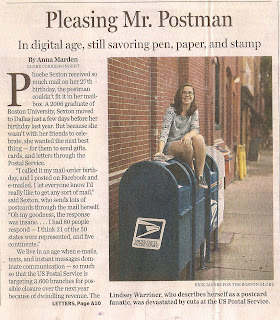 It's a wonderful little article, written by Boston Globe correspondent, Anna Marden, and will hopefully inspire many more people to try their hand at letter-writing.